President Donald Trump may have threatened to transport illegal immigrants to so-called sanctuary cities to “make everybody crazy” and generate media attention, Republican U.S. Senator Rick Scott said on Sunday. Mr. Trump said on Friday he was considering sending illegal immigrants to sanctuary cities, prompting U.S. mayors to accept such an offer as the battle over border security rages. Since many such jurisdictions are Democratic strongholds, the proposal was seen by critics of Mr. Trump as an attempt by the president to punish Democrats for refusing to support funding for the construction of a wall on the southern U.S. border. 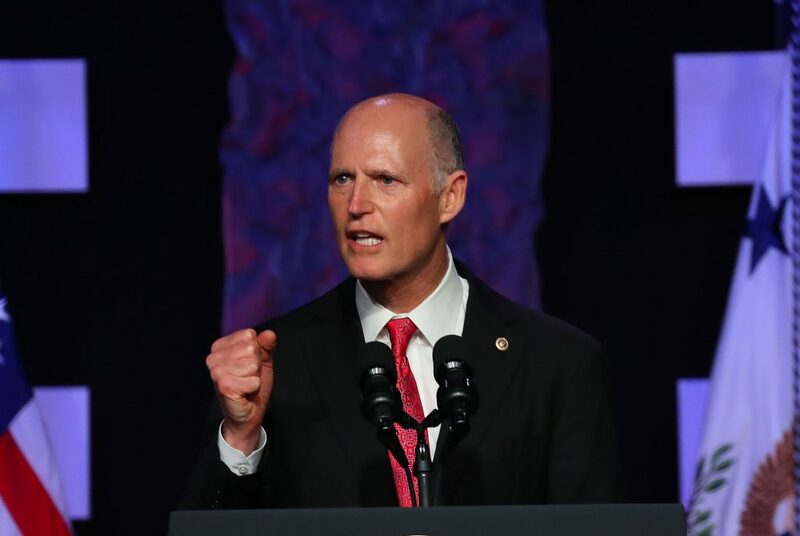 Scott, a former Florida governor who was elected to the U.S. Senate in November, has generally kept his distance from Mr. Trump and criticized him in the past over immigration policies and other issues. Frustrated by rising numbers of undocumented immigrants arriving at the southern border and a failure to get Congress to fully fund a U.S.-Mexico border wall, Mr. Trump has sought to taunt Democrats by dangling the possibility of an influx of illegal immigrants into their communities. Scott acknowledged the president’s frustration over a lack of progress on addressing the influx of migrants, but said the administration had to comply with the law. Late on Saturday, Mr. Trump wrote on Twitter that the United States “has the absolute legal right” to transfer apprehended illegal immigrants to sanctuary cities, without citing evidence. “(T)his includes Gang Members, Drug Dealers, Human Traffickers, and Criminals of all shapes, sizes and kinds,” he wrote. “We’re looking to see if there are options that make it possible and doing a full and thorough and extensive review,” Sanders said. Since Democrats have said they would welcome these individuals, “everybody gets a win out of it,” she added.